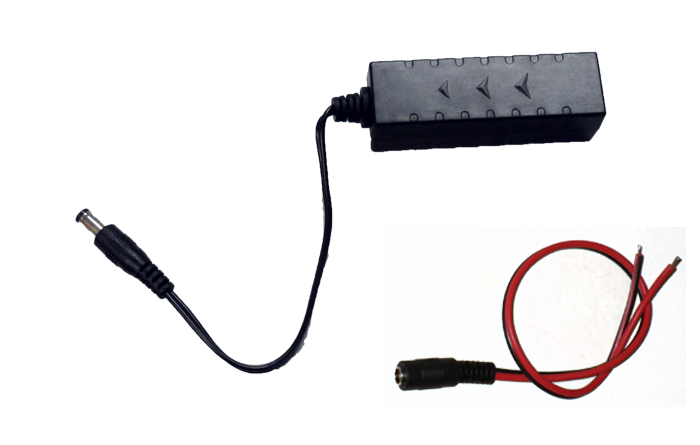 Rugged Marine has introduced a much needed item for marine cameras – a 12V DC Voltage Regulator. These Regulators solve a problem for many people that have cameras on boats. The battery and charging systems on marine vessels most commonly put out between 13 volts and 15 volts, and many of the cameras will not tolerate the wide voltage swing. Even if they do tolerate it for a while, it can seriously shorten the life of many types of cameras, especially if they are not designed for Mobile applications. The 12V DC Voltage Regulator accepts DC voltage from 10 volts all the way to 30 volts DC. It then regulates the voltage to 12V DC. Our testing shows 11.8 volts consistently – from 10 to 30 volts input. The maximum amp rating on this Regulator is .65 Amp (650 mA). Our Sentry Infrared Dome Cameras, and our Stainless Steel Mobile Cameras all pull less than this rating. However, if you plan to use this regulator with another brand of camera, be sure that it pulls less than .65 Amp – even with the Infrareds or internal Heater on. There are arrows on the outside of the unit showing which way the voltage should be flowing (input & output), and we are including a female connector that gives you two bare wires for easy wiring into your boat or vehicle. Please use this Voltage Regulator AT the camera end of the wiring instead of closer to the battery, so that the distance is not as far for the 12Volts to carry. 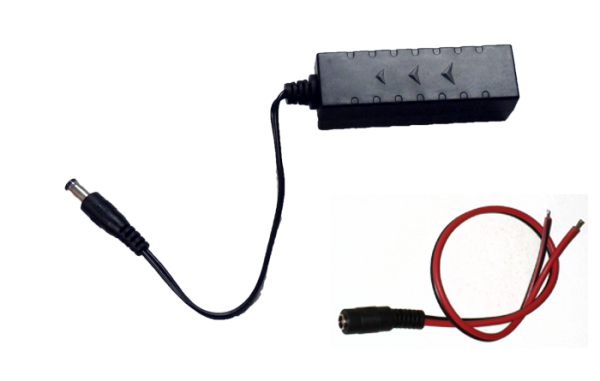 (higher voltages carry farther, so only install this Regulator at the camera).